Some patients get anxious when visiting an audiologist to undergo a quick hearing test for the first time. Taking the first step to get advice about your hearing can be a confronting and intimidating. The audiologists at Medical Audiology Services are there to guide you through the process with patience and professionalism. Through this article, we will help you learn things you may through when visiting an audiologist. At the same time, we aim to ease your worries with regards to getting your hearing checked. This is to help first-time patients to know how and why hearing check-ups are not scary at all. Hearing tests are needed to determine the current condition of your auditory system. Not only does it help you know your hearing condition, but it also helps you assess your overall health and communication needs. The audiologists at Medical Audiology Services assess you as an individual, investigating the many different causes of hearing issues. Here are some of the tests that an audiologist may be performed when you visit a clinic for a quick hearing check. Often the first step in consultation with an audiologist is to assess your hearing and health history. We may do this with a questionnaire or discussion with an audiologist. This provides information to your audiologist about your condition and needs, so they can best advise you following your quick hearing test. A visual examination will be performed using an otoscope to check your tympanic membrane (eardrum) and ear canal. This examination can help provide important information about your middle ear which is responsible for your hearing and balance. Otoscopy also excludes wax as the cause of hearing loss, which ensures it is advisable to continue the quick hearing test. Tympanometry evaluates how well your middle ear (eardrum and middle ear bones) function. It measures the vibrations of the eardrums. One of the hearing issues that tympanometry can assess is “glue ear” (fluid behind the tympanic membrane or eardrum). Glue ear is the filling up of fluid in the empty space of the middle part of the ear. Many conditions which block the transmission of sound through to the hearing organs are detected by tympanometry. 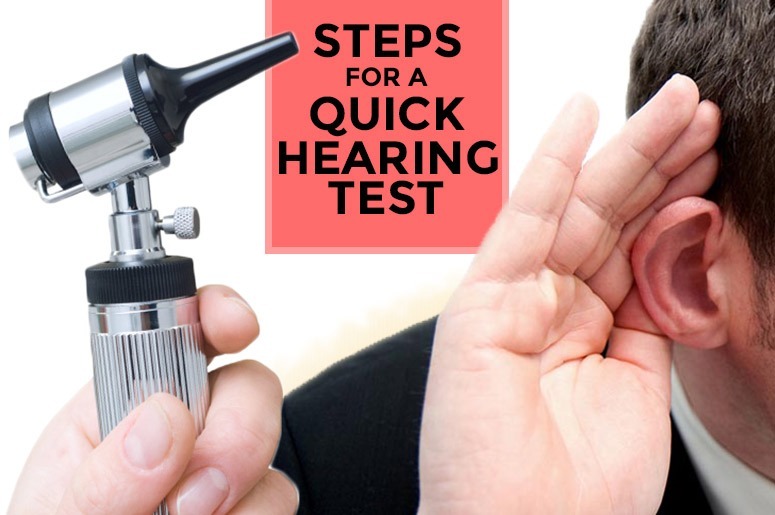 This ensures the results of the quick hearing test are not impacted by a blockage in the ear or other medical condition. This quick hearing test determines your ability to recognize or understand the clarity of words at a variety of sound levels. For example, your audiologist will ask you to listen to a series of words and repeat each of them. After every quick hearing test, your audiologist will explain your results and provide recommendations regarding your condition. Your audiologist will take into account the history and communication need you to discuss at the beginning of the appointment together with your test results. Ease your anxiety as a first-time patient! Learn more insights from our team of experts. Take a look at our website and blogs for helpful information about audiology and hearing aids.